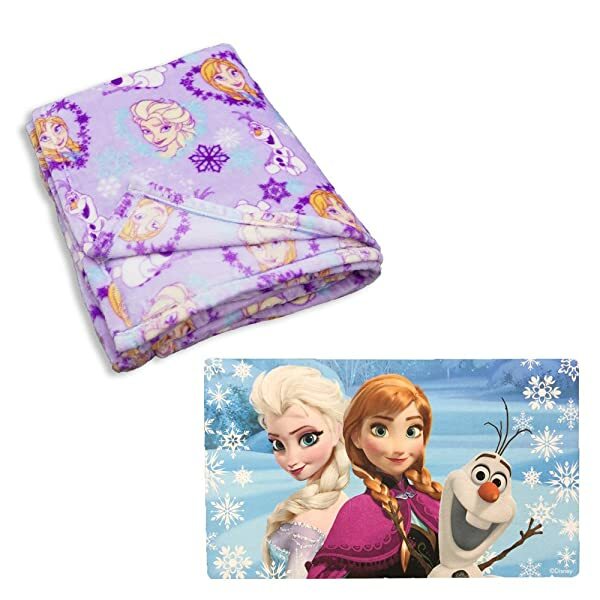 Disney Frozen Elsa Anna Ultra Soft Classic Designed Multicolored Kids Super Luxurious Blanket 60 X 80 inch. A soft beautifully colored fleece blanket. Made of 100% polyester. Blanket measures approximately 60 x 80 inch and Matt measures 18 x 30 inch. Cozy and adorable, this Disney ultra-soft blanket will quickly become your favorite! Made from plush polyester, the blanket features a fun Frozen design that showcases your favorite characters from the movie! Wash before first use. Machine wash separately in cold water at a gentle cycle. Use only non-chlorine bleach when needed. Tumble dry at low temperature. Do not iron.